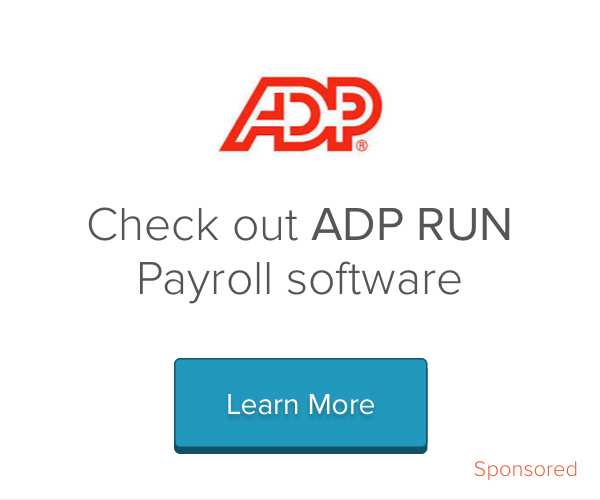 Error-free, worry-free Payroll. Get expert payroll assistance. Avoid costly tax penalties. Save time with everything in one place. No exporting or double checking. Everything is done right in QuickBooks. Work for Payroll for QuickBooks Desktop? Learning about Payroll for QuickBooks Desktop? "Payroll for QuickBooks Desktop is the way to go!" It's a real workhorse and it does everything that we need it to do in the realm of accounting and payroll for our small business. Setup is so easy and efficient. Once you have your account information entered you log in and you're set to begin entering your customers/vendors/accounts. As you create them it's simple to sync them and enter payments all within the ease of clicking a button. It feels somewhat archaic and doesn't have a sophisticated enough invoicing process for things like monthly contracts, etc. so I have to manually email hundreds of invoices a month. The desktop version of Quickbooks has much better functionality and you have the ability to control a lot more than with the Online version of QuickBooks. "Easy to pay Employees - Rated A"
I have used QB Payroll desktop for different companies and always have been very pleased. if you do make a mistake it is easy to fix. The reports that you need to file are always on point. I have had to call customer service a couple different times and the wait sometimes isn't good. Calling Intuit is always this way. This is a downside, but when you do get customer service on the phone they are always nice. Also the price isn't the best. They also went up and you can find less expensive services now. Pricing might seem high, but compare to other companies that does payroll for you it really isn't. At the same time you have all the reports in QB and you do not have to import the data saving you time. Realized that by keeping QB payroll everything is in one software program and I do not have to import from another company keeping things easier. Easy employee setup, easy and cost effective direct deposit program, clear reporting, employee portal to self manage profile and view paystubs and tax info. Not much to dislike. One of the better features of Quickbooks Desktop. Payroll is even better with Intuits new timekeeping software for mobile. It's called TSheets and it takes a good payroll system and makes it twice as good. We were able to streamline the process from time clock punches all the way to payroll entry. We were trying to streamline withholdings and payment of all taxes and fees while giving employees the most accurate paycheck in a timely basis. I really do not have complaints. Maybe if the report generating section were a little more user friendly that would be nice. Highly recommend! It works great. I have heard that the online version is not quite up to snuff yet so I recommend sticking with desktop if you are unsure of your needs. It makes managing our nonprofit easy. We are able to keep costs down while meeting our staff and organization needs. With basic information you can set up employees and have them set up for a payroll check in no time. Just fill in the blanks with information you received from your employee and you're set. Definitely consider QuickBooks for your Payroll needs. Efficiently paying our employees with no delay and minimal additional expense. We think that this software is heading in the right direction, we are very happy with it and nothing to complain about it, honestly it is the best investment that the company has made so far. "Easy to use software is very efficient"
I get direct deposit and all of the payroll done fast and without any hassle. It's quickbooks desktop so I have to do it on the actual computer. Payroll for quickbooks desktop will do the work for you if you have a small/medium business. It's very easy to use and will provide you with the right tools that you need for a payroll system. Have direct deposit enabled, it's very easy to use and employees are happy with their paychecks. Good tech service and support. Difficult to make corrections if there happens to be an error in feeding in the data. Payroll can be done quickly and more efficiently. Increased the productivity of the emplyees in the payroll dept. "Payroll and filing taxes together "
I like that I can do my payroll and it also makes finilomg taxes easier. I love that it works with Quickbooks. No hustle its all there, super easy to do - all in one.! Sometimes when updated not all computers can connect to the server so sometimes glitches. 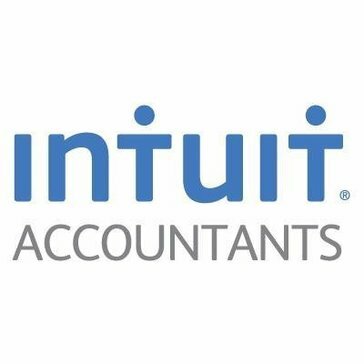 Super easy to use and very efficient, all you have to do is enter the hours and Intuit will take care of it all for you. "Great for non-numbers people "
I really didn’t have a probable with this at all. It took me a little bit to get the hang of it but then it was great. I was having to manaually calculate commissions for employees and this helped me streamline it. "Easy to pick up and learn "
I love the UI of the product. Very user friendly to people who aren’t very familiar with accounting software like me. Using payroll for quick books has made it simple to pay staff. I sometimes wish the software was a little more user friendly. It was very easy to incorporate into our office. The learning curve was very easy and the accounting staff learned quickly. There was nothing I disliked. The software was above reproach. If you have issues with payroll, this is your best option. It's very easy to grasp. It made payroll very fast and accurate. No room for mistakes. "Free Direct Deposit 24 Hours"
You can e-file taxes yourself. Don't have to have taxes done by a prefessional. A bit on the expensive side for almost twenty dollars a month for self service payroll. Free trial for 30 days. You can start up your own small business and use this software. "Clean interface, easy to use"
It is a little more expensive than other software out there. This allows payroll professionals to work quickly and efficiently. Benefits are clear communication and less time spent on this task. Keeping payroll organized and efficient were benefits. It solved the need to do payroll and track it. I do not like the fees. I feel like I'm feed to death. There is currently nothing that we dislike. This software helps me and my client a lot. There is nothing I can say that I don't like since since it is so easy to use. "Makes my life easier "
I like that it can automatically sort for you! "Its an accountant on call"
"Not bad but could be better "
Not bad but some menus are not logical . * We monitor all Payroll for QuickBooks Desktop reviews to prevent fraudulent reviews and keep review quality high. We do not post reviews by company employees or direct competitors. Validated reviews require the user to submit a screenshot of the product containing their user ID, in order to verify a user is an actual user of the product. Hi there! Are you looking to implement a solution like Payroll for QuickBooks Desktop?